There should be no surprise to anyone that we are seeing significant competition for rental suites in the city. Last week an agent in my office scoured MLS to find 21 condos that met the size, location and price for his client. He started calling to make appointments only to find that all but 4 had been rented out. Clearly a shortage exists in the rental pool across the city which is creating competing bids. In this situation the winner is not just the guy with the biggest amount of money. Today’s winning tenant is the one who has the best covenant, that is.. the best job (meaning long track record of employment) and the biggest salary, the least debt and highest credit score. Perhaps that doesn’t come as much of a surprise. But the bigger concern should be the shrinking pool of rental units across the city. The double-digit price increases that condos are experiencing together with some of the highest numbers, in terms of millennial buyers, entering the market, should be cause for concern. Consider that in January 2014 the average condo in C01 cost $448k. That would typically be a 1 bedroom and den configuration of about 700 square feet +/-. For simplicity I will assume that a typical buyer would put down 20% (or $90k) and carry the balance on a mortgage at a cost of about $1694/month. ($358k at 3%, 5 yr term). Include a typical property tax of about $265 per month (Around $3200 annually) and maintenance fees around $385/month ( $.55/per sq ft). and you have a total operating cost of about $2345/ month. For that kind of money in C01 you are probably located on King West about a few blocks away from the Financial District and assuming the unit had parking, the monthly rent MIGHT cover your nut. Not a bad deal especially if you hope that the unit is appreciating year over year. Jump ahead two years. That same unit is now, according to TREB stats, pushing $531k. Interest rates have not changed significantly so the monthly cost of your mortgage, with the same 20%down, is now $2016/mo ($531k-$105k deposit= $426k at 3%, 5 yr term). Assume maintenance and taxes are similar and your monthly carrying cost is now closing in on $2670/month. Rental rates have not kept pace, so if you are an investor, you would be running a loss, in fact you need to have nerves of steel to be ok with losing well over $300/ month. 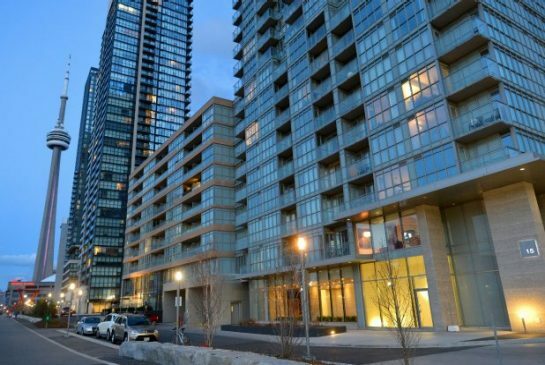 For investors, buying a condo to rent out just doesn’t make sense. Now consider the investor who bought in 2012. Chances are they are covering their expenses nicely. Even with higher maintenance fees and taxes, they are still in the black by $200-$300/month. But at an average purchase price of $410K in January 2012, if that person sold today he would gross $121k. Hard to pass up on that considering it would take you roughly 40 years to earn that same income when you are collecting it $250 a month. Naturally, I am omitting commissions and capital gains out of the picture but the theme remains. Currently in the C01 there are nearly 400 active listings of which 122 are listed as having tenants. Many of the listings I examined contained vacant possession notes in the broker comments. If half of those tenants are forced to move to accommodate end users, Toronto could face a much more serious housing shortage. On a side note, two other factors will change the landscape of rental units in Toronto namely the tightening of speculative lending through the banks and AirBandB. Two things to keep an eye on.